IN the aftermath of the recent general elections which gave him some semblance of political legitimacy, albeit a hotly-disputed presidential poll, President Emmerson Mnangagwa is now making bold yet risky manoeuvres to contain his ambitious deputy Constantino Chiwenga, demilitarise politics and ensure the end of military tutelage in Zimbabwe. A new confidential government document spelling out the key performance indicators for newly-appointed cabinet ministers, exclusively obtained by the Zimbabwe Independent this week, reveals Mnangagwa is pushing hard to drive the military back to the barracks, depoliticise security forces and consolidate civilian control of the state and government, while coup-proofing himself. New Defence minister Oppah Muchinguri-Kashiri, a Mnangagwa ally, has been tasked to stop the army from meddling in politics, while ensuring it acts in accordance with the constitution and the law, among other issues. As part of that, police are back full-throttle on the roads. Under former president Robert Mugabe, military handling moved from civilian control at the height of his power of tutelage as his rule waned and then brinkmanship which culminated in a military coup that in the end dramatically swept away his 37-year old regime last November. Mnangagwa came to power riding on the crest of the wave of the coup, but before the elections he was widely seen as a lame duck. After the polls, he moved to cage Chiwenga and is taking further measures to send the military back to the barracks. Informed government officials and diplomatic sources say Mnangagwa is under heavy pressure from Western countries, donors and funders to rein in Chiwenga, herd the military back to cantonments and demilitarise politics to secure a veneer of legitimacy and funding for the economy asphyxiated by a chronic liquidity crunch and severe cash shortages. "Mnangagwa is now taking measures to keep Chiwenga under tight control and drive back the military to the barracks," a senior security official said. "He is under pressure from his inner circle and diplomats to do that. They want him to take charge and show leadership. This will signal stability, reduce uncertainty and improve opportunities for further re-engagement, investment and funding." This comes as Mnangagwa this week tightened his grip on the security sector by appointing his close ally, Owen Ncube, as State Security minister. This means Ncube will oversee the Central Intelligence Organsation (CIO), which Mnangagwa has already put under the control of his other Midlands ally, Isaac Moyo. The Zimbabwe Defence Forces (ZDF) is run by General Philip Valerio Sibanda and the Air Force of Zimbabwe by Elson Moyo, both of them Midlanders although with a Zipra background. The Zimbabwe National Army is headed by Lieutenant-General Edzai Chimonyo, also a Mnangagwa ally from Masvingo. All those in charge of the security sector have a Midlands-Masvingo regional background. Nearly all of them are ethnic Karangas, Mnangagwa's own sub-tribe - a reversal of Mugabe's Zezuru-centred deployment framework and pattern. Details show Muchinguri-Kashiri is going to be Mnangagwa's enforcer in the military as a pawn in the battle for the throne with Chiwenga. The first key performance indicator for her is to ensure peace and security. To achieve that, she is expected to "rein in on the security sector to foster peace in the country, not create unrest and terrorise civilians". This comes as Mnangagwa on Wednesday swore in a commission of inquiry into the fatal shooting of at least seven civilians during pro-democracy protests on August 1. There is controversy over the deployment of the soldiers on that day as insiders say it was Chiwenga, and not Mnangagwa, who called in the troops. Insiders say Mnangagwa could be targeting Chiwenga in the probe. Muchinguri-Kashiri is also expected to institute training programmes to ensure soldiers are reminded of their constitutional and legal roles and prevent them from interfering in politics. In one telling key performance indicator, the minister is instructed to ensure security sector reform by separating "security sector operations from political activities as per constitution". 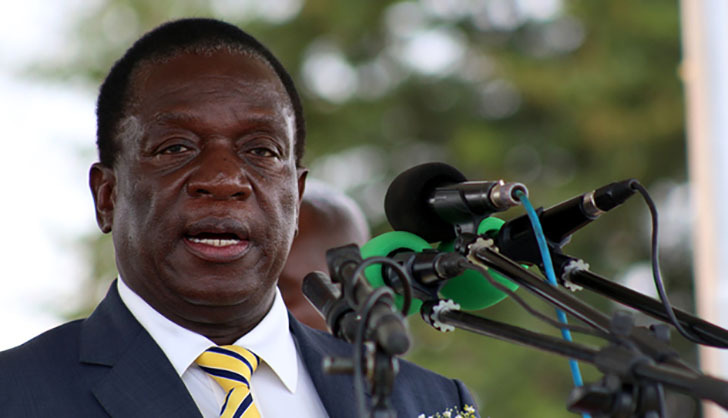 Mnangagwa also wants her to improve the working conditions of the security forces, including juniors, a move seen as a way of pacifying them. She has also been instructed to improve the welfare of war veterans. Government officials say by containing Chiwenga and making crucial security sector reforms, Mnangagwa is insulating himself from a possible coup, while also emasculating his deputy. The military however remains the power broker. Unless contained and neutralised, the army could still determine Mnangagwa's successor as it did with Mugabe. Chiwenga, who, together with Sibanda and Foreign Affairs minister Sibusiso Moyo, masterminded the coup which toppled Mugabe, is widely seen as harbouring presidential ambitions. It is said he wants Mnangagwa to serve one term only and then allow him to take over. This is said to be one of the issues which have created a rift and fuelled tensions between them. After the coup, there were also problems around transitional arrangements and appointments. During the elections, infighting broke out, especially during Zanu-PF primary contests, and the general polls over factionalism. A mysterious grenade attack which killed two security aides rocked a Zanu-PF rally in Bulawayo during campaigns. Chiwenga and his military allies who ran elections succeeded in weeding out some Mnangagwa's loyalties, before the President hit back by purging or leaving out his deputy's supporters from his cabinet. That, together with the civilian killings just after elections and the Bulawayo explosion, seems to have been the breaking point between the two gladiators who have been playing cat and mouse political games with each other since the coup. However, insiders say Chiwenga remains highly influential in the military after serving in high command structures for many years. He was commander of the Defence Forces from December 2003 to December 2017, and oversaw the promotion of most of senior military officers who are still serving; including colonels, brigadier-generals and major-generals. The military's involvement in politics in post-colonial Zimbabwe dates back to the early years of Independence in 1980 when Mugabe used it to crackdown on Zapu officials and Zipra, leading to Gukurahundi massacres in which Mnangagwa was the key enforcer. Under threat from the main opposition MDC since 1999, Mugabe used the army from 2000 onwards in a brutal campaign of violence, intimidation and killings to hang onto power until it overthrew him last year. Mnangagwa seems to be anxious to avoid Mugabe's fate.